As 2015 winds down, I'm putting the finishing touches on the national rankings for the year. There are a handful of races left on the schedule, but the top of the rankings should be pretty much settled. How did we do? Not to pat myself on the back too much, but I think we did pretty well. At the top of the rankings at least, I feel like the system did a really good job of delineating who really had great years. You can quibble with some of the details (and I'm sure you will); whether you think someone running 10-15 smaller races should rate as highly as someone running only three of four bigger races is, to some degree, a matter of opinion. But if you peruse the results you'll find that both strategies paid off in 2015. Brian Rusiecki, Kathleen Cusick, Paul Terranova, and Nicole Studer put up numerous top finishes in a variety of events; Rob Krar, Ellie Greenwood, Zach Miller, and Camille Herron rode just a few dominant performances to high rankings. Aliza Lapierre, Dylan Bowman, Kaci Lickteig, and David Laney blended the two. I think the fact that no single strategy dominated the rankings showed that the system is able to account for both depth and breadth of performances, which I thought was going to be one of the biggest challenges going in. All in all I think the system performed very well. I was fortunate to get a vote for UROY this year and spent several days last week filling out my ballot. (It was exciting, and an honor, but very, very difficult.) I've said all along that I wanted the rankings to be an objective supplement to the subjective voting process, and I think that goal was met. I'm not sure how much use it is as a voting criteria--I didn't use the exact rankings when deciding my ballot--but as you can see here, the folks I thought were deserving of UROY votes were almost exclusively very highly ranked by the system. (I'll leave it to you to decide which is the chicken and which is the egg.) 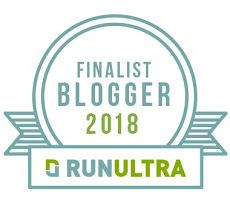 Below I've listed my UROY ballot; the number after each name in the parenthesis is that runner's final ranking (barring any final-weekend changes). Another role I envisioned for the rankings was in helping athletes with attracting sponsors. I mean, Rob and Magdalena certainly don't need the help, but I think someone with less name recognition, like, say, Daven Oskvig, might get some benefit from being able to tell a potential shoe sponsor, "You know, I ranked 32nd in the country this year." Whether or not that's the case remains to be seen. Maybe in a couple of years. There are a few changes coming in 2016. The point values have been tweaked for high-level races, making them relatively more valuable; this should help to further reward the elites who are mixing it up with the best competition. Additionally, now that we have a full year of data to work from, the field strength multiplier will be expanded to encompass the top 50 runners for each gender. This will reflect the quality of the fields much more accurately. I've also enlisted the help of a few well-connected folks within the ultra world to help me rate the races more accurately. They are scattered in different parts of the country, so hopefully we'll have an unbiased view of which are the most important races in our sport. Anyway, without further ado, here are the top 50 men and women for 2015. You can check the final spreadsheet for the full rankings--all 5800 runners, men and women--here. I've added two additional tabs at the bottom, so that now you can view the list both alphabetically and numerically. So, if you want to find your ranking but don't want to scroll through 3000 names, start by finding your name on the alphabetical sheet. Check your final point score in the far right column. Then, scroll down on the numeric sheet to find that score, and bingo, you'll find your name and ranking. I hope you enjoyed these rankings as much as I enjoyed compiling them, and I hope you'll come back for more in 2016.